Depart New York on your overnight flight to Amsterdam. Connect onward to Kilimanjaro, Tanzania. On arrival in Kilimanjaro Airport you will be met and transferred to your lodge in Arusha. This morning you will be transferred to the Arusha airport for your scheduled flight to the Serengeti National Park. 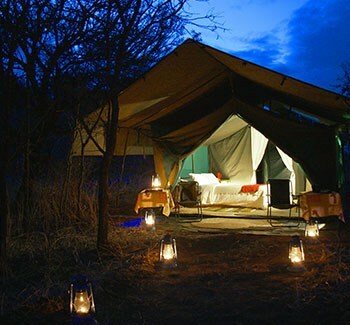 On arrival you will be transferred into camp where you will settle in and depart on an afternoon game drive. 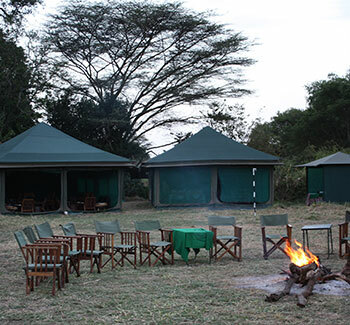 Serengeti Explorer Camp is made up of luxury tents that are the classic way of experiencing the African bush without sacrificing the amenities of a hotel. Large canvas tents (10ft x 13ft x 7 ft high) with wooden beds are set up in before your arrival in camp. On arrival in camp you are greeted by your waiter with juice and depending on the weather hot or icy cool towels to wipe away dust. Cool drinks await you at the dining tent or campfire. Excellent pre dinner bites are served before dinner and hot showers are ready minutes after you inform the tent steward. Delicious meals are served in the dinning tent. Clients can enjoy the sense of security and comfort of insect proof large walk in canvas safari tents, wooden beds with mattresses, crisp cotton sheets and warm wool blankets. 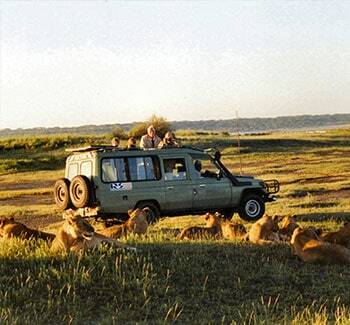 Two full days of game viewing activities in the Serengeti National Park. After a morning game drive and breakfast you will take your scheduled charter flight to Kigali, Rwanda. On arrival in Kigali, you will be met and transferred to your hotel. This morning your private guide will collect you for a half day city tour, including the genocide museum/memorial. You will then continue by road to Kinigi via Ruhengeri. The road to Ruhengeri offers stunning scenery of the Rwandan countryside. From Ruhengeri, it is 20 minutes to Kinigi at the base of Sabyinyo Mountain, with excellent views of the rest of all of the Virunga Volcanoes. 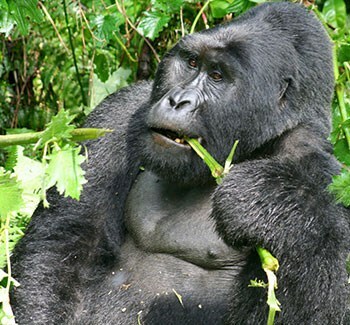 This evening will be at leisure in preparation for your first gorilla trek. 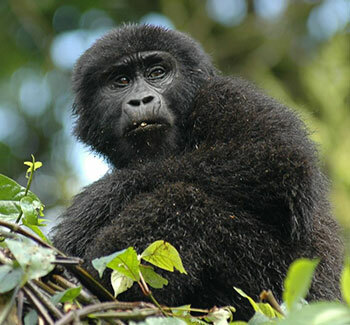 This morning you will be driven to the Park headquarters where you will meet your trackers and will have a briefing on the etiquette of gorilla trekking. You will then continue to the trail head to begin your gorilla trek. The trekking can take from 1 to 6 hours and climb to altitudes not in excess of 7,500 feet. The terrain is rough and at times muddy. Although the hike is physically demanding the beauty of the forest and surrounding scenery make the trekking worthwhile. 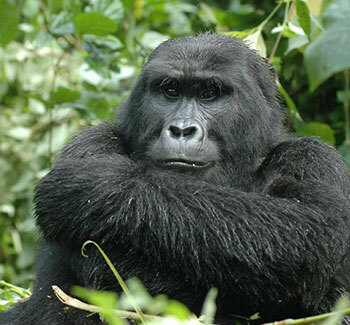 Once the gorillas are located all fatigue is forgotten, as the experience is often described as being the most profound natural history experience in the world. Picnic lunches are provided and it is important to take plenty of water. It can rain at a few minutes’ notice, hence waterproof clothing is a good essential including waterproof bags for cameras and film. If there is any time available in the afternoon your guide will take you to visit some nearby sites such as Lake Kivu or a local village. Alternatively, you can spend the afternoon relaxing at your lodge. Today you will have your second gorilla trek. Afterwards, you will continue back to Kigali and onward to your hotel. Remainder of evening at leisure. Morning at leisure. This afternoon you will be transferred to the airport for your onward flight to Nairobi and then home. On arrival in Amsterdam you will connect onward to New York.